JL Audio C2-350X speaker deliver an impressive audio performance solution and value. The technology of the Evolution C2 Series has been drawn from JL Audio’s experience in woofer and tweeter design. They have been engineered to deliver adequate efficiency while retaining a smooth mid-range response with low-frequency extension. Smoothness of response and the freedom from distortion are factors that make the C2 Series speakers truly one of a kind and enjoyable for everyone, and the resulting product is one that delivers performance for any car audio enthusiast at a price that won’t break the bank! JL Audio C2-350X tweeters incorporate silk dome diaphragms to deliver smooth high-frequency transitions, on and off axis. Silk is a natural material with inherently good characteristics as a tweeter diaphragm. In addition to being very light in weight, silk exhibits excellent damping properties, which reduces ringing and resonances in the tweeter’s passband, leading to a smooth, pleasing high frequency character free from unnatural sibilance or exaggerated brightness. 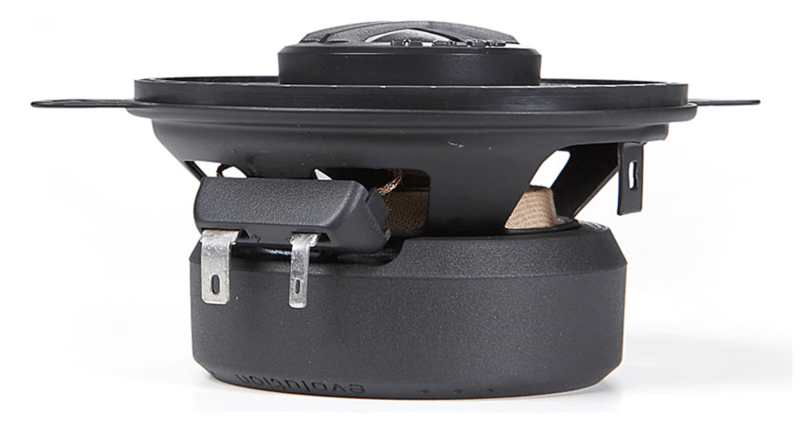 This is why a Silk Dome Tweeter is preferred by many audiophiles for its overall balance. JL Audio Evolution C2 coaxial speaker systems feature mineral-filled polypropylene cones, long excursion capabilities and stamped steel frames. In addition, the woofer design benefits from JL Audio’s vast woofer design experience and advanced modeling systems. It is this use of proper high-quality components and advances that allow the speaker to perform better than any other speaker in its price range. The C2-350x, specifically, has a respectable frequency response of 130 Hz – 22,000 Hz, a modest continuous-power handling of 25 watts and a solid efficiency of 83.0 dB, giving it the ability to produce smooth mid-range and highs. The JL Audio C2-350X 3-1/2″ speakers feature rugged polypropylene cones that can handle plenty of power without distortion, so you get full-bodied tones. The 3/4″ silk dome tweeters serve up smooth-sounding high frequencies that won’t tax your ears, adding a satisfying dose of realism to your soundstage. Built-in crossovers ensure that the tweeters and woofers reproduce only the frequencies that they were designed to handle, so your tunes play smoothly across the whole musical spectrum. Grilles are not included — factory grilles are appropriate for most installations.